Google's Mobile blog (as well as their Finance blog) announced an update to the Google Finance mobile webpage on your Android (or... iOS) smartphone. The changes certainly aren't subtle: Google has streamlined finance to appear very similar to all the in-browser Google mobile web-apps. 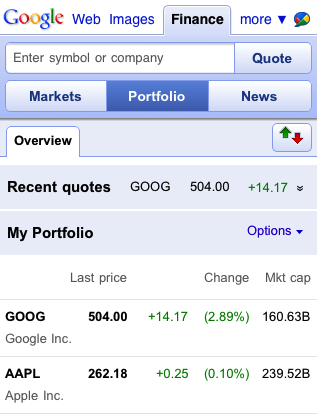 As an Android user, you may be asking why Google bothered - there's already a Google Finance app on the Android Market. The answer? The website, simply put, is just a lot more awesome. 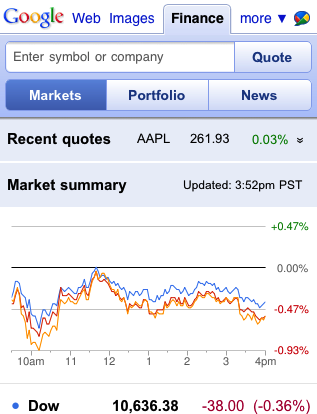 And on the Froyo browser, it's also a lot more responsive and smoother than the Finance app. What's not to love? The integrated search bar makes finding quotes a lot easier, and the fact that it's just a tab on Google mobile homepage makes it all the more convenient. 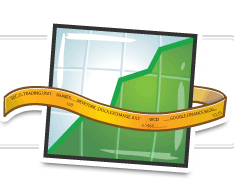 The front page is also much more informative - it contains your recent quotes, your portfolio, market summary, top news, as well sector summaries and price trends. Google also claims the Finance mobile web page will carry over all your preferences from Google Finance (via your Google account) as it appears on your desktop computer to your Android (or iOS) phone.